Recently experiments with buttermilk produced this buckwheat & buttermilk sourdough, a rice & buttermilk sourdough and a millet & buckwheat sourdough. 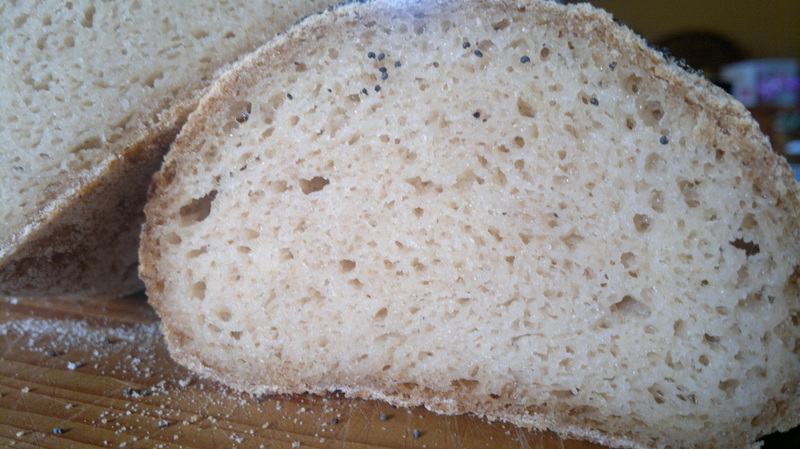 This loaf has a rich complex flavour, not as strong as the long ferment buckwheat, but still quite interesting. 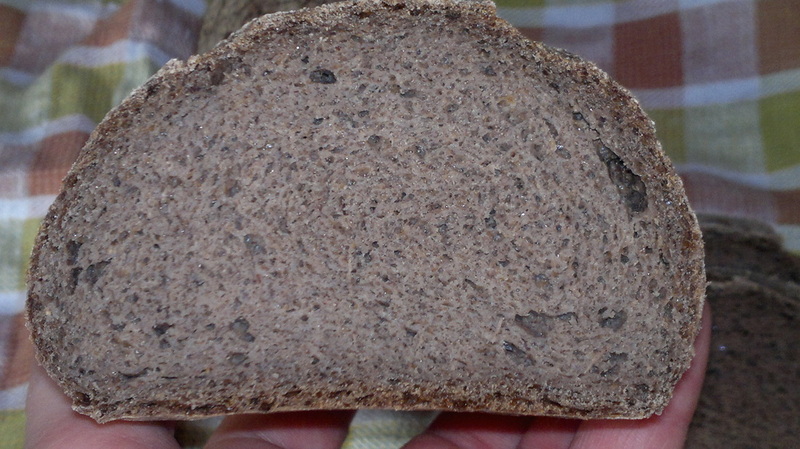 The crumb is typical of other buckwheat sourdough. This sourdough is based on brown rice flour. It uses a pre-ferment or "sponge" that is developed for up to 24 hours. The dough is also fermented for up to 24 hours. Being rice it has a very mild flavour. Learn how to make this sourdough in the Advanced tutorial. 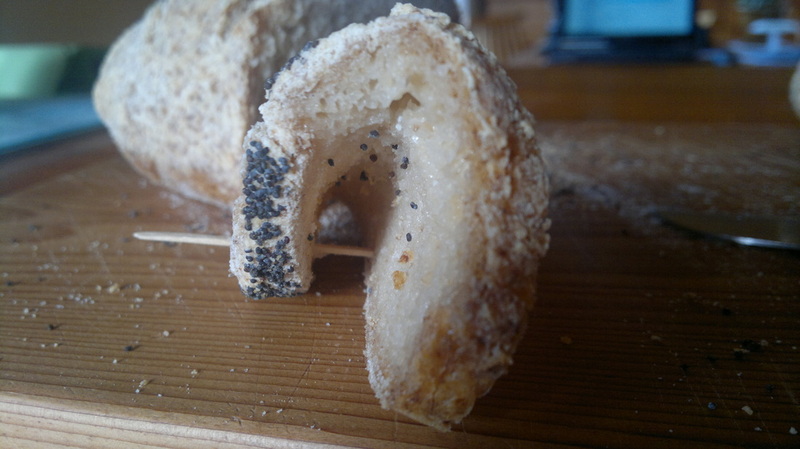 The soft and supple character of this sourdough can been seen in the following picture where a slice has been folded and pinned with a toothpick, without the bread breaking. Sourdough is not something you rush. This buckwheat loaf takes about 3 days from start to finish. The first two days are for the pre-ferment. The third day for the dough. The result is a dark, richly flavoured buckwheat loaf. 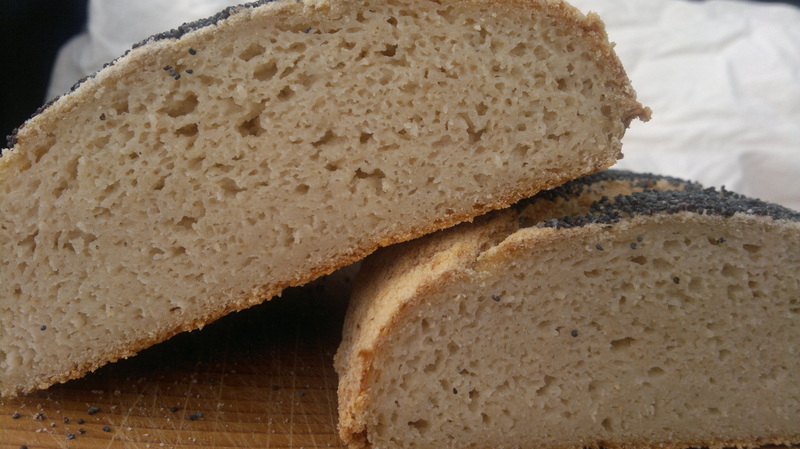 Similar to the rice & quinoa sourdough, this sourdough made with brown rice & buckwheat on a quinoa starter has a soft and supple crumb that is can be bent with out the slice fracturing. The addition of buttermilk introduces more sour notes, while retaining a mild flavour. Unfortunately my timing was out and this loaf was over-proofed by the time it went in the oven.